I usually like to take advantage of a Hertz President's Circle Plus Rewards ELITE upgrade, but in this bad economy, I go for the cheapest car to rent. The best way to do this is to go to Expedia, where you can get a quote from all the car rental places in one place. There are many advantages to going to this link : You can BOOK NOW and pay later, NO FEES for cancellation before pick-up, the TOTAL price INCLUDES taxes and fees. 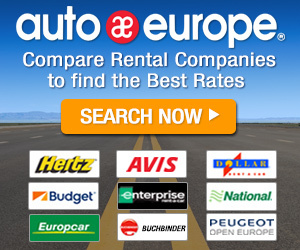 I could see all the rental companies daily rates listed.. 84 Car Types Matched my Search For Economy Or Larger. Dollar Thrifty, was the cheapest then Enterprise and Alamo. All cars include automatic transmission, air conditioning and unlimited mileage. I must point out a tip that you should not expect cars to have air conditioning if you are renting out of the USA, and may even have to rent a stick shift car! So always CHECK if you are not renting in the USA. We rented a car at Baltimore, MD, AIRPORT (BWI-Baltimore Washington Intl. Thurgood Marshall) from Enterprise. When I returned the car early in the morning at 5 a.m. There was nobody at the Enterprise desk but the National (sister company) person told me to leave the keys in the car. I did this, but did not get a receipt emailed to me . After a few days I sent an email to the manager and explained that I need a receipt for my records and my expense report. I got a reply to go to http://www.enterprise.com> at the bottom of the page you can print receipts but you have to put in your license information. You can use your Preferred Corporate Loyalty Program At Enterprise and even enter your National Car Benefits Emerald Club ID on the Enterprise website. There is really not much competition in the car rental business and I can understand why only the biggest companies survive. Most cities add on so many taxes that it is not a growth industry. The car companies are lucky that they have not been priced out because Amtrak and other Government run trains are still more expensive than renting a car. Hertz and Dollar Thrifty Merged last year and now there are fewer car rental companies as there are now only four major Airlines in the USA controlling skies and that means prices go up when there is less competition. Join Hertz Gold Plus Rewards to earn Points To Get Free Rentals and you don’t have to stop at any counters. 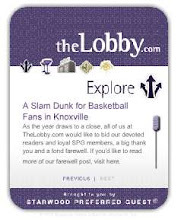 Other advantages of membership are Speed rental and faster car return. They are the world's largest airport car rental brand, and have launched Hertz Dream Cars so if you want to rent an Aston Martin V8 or a Ferrari you are in luck! 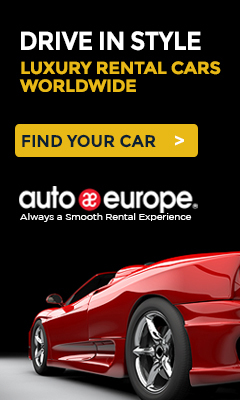 Hertz operates its car rental business through the Hertz, Dollar and Thrifty brands from approximately 10,400 corporate, licensee and franchisee locations in North America, Europe, Latin America, Asia, Australia, Africa, the Middle East and New Zealand. Hertz is the largest worldwide airport car rental brand. They promote the Hertz name a glamorous flagship brand. Hertz has renewed their Title Sponsorship Of The British Grand Prix MotoGP™ At Silverstone. The Hertz Corp. has launched Hertz Dream Cars, a line of high-end performance vehicles that redefine the premium car rental experience. Shares of HTZ are up on news of the line of ultra-high-end performance vehicles that redefine the premium car rental experience. Hertz, recently earned top honors with three separate car rental industry influencers. For the second consecutive year, Hertz and its Gold Plus Rewards program swept the Flyer Awards and Trip Advisor’s garnering top honors for Best Rewards Program and Outstanding Benefits in the Americas, Europe/Africa and Middle East/Oceania; in Trip Advisor's first car rental survey, U.S.-based travelers chose Hertz as the favorite brand of car rental in the 2013 Travelers' Choice Awards for Travel Favorites. Hertz was also chosen as the number one best rental company in Elliott's list of six best rental companies of 2013 Zap Technology: Hertz's Gold enrollment and e-Return is the fastest way to get customers in their cars and when they return, back on their way home. Hertz will email the customer's receipt in a flash. .
Hertz has a Mobile App. to Book, modify and search car rental reservations, find locations, and browse special deals and offers all from the palm of your hand to on-the-go bookings to instant upgrades. Another app is Hertz NeverLost My Explore App: Users can plan their itinerary and navigate popular cities all on their smart phone and import it into a calendar or to the award-winning Hertz NeverLost® GPS. Now through December 31, 2013, earn up to six times the American Airlines AAdvantage® bonus miles and save up to 35% on your Hertz car rental. Simply rent a Hertz vehicle for one or more consecutive days in the U.S., Puerto Rico, Canada, Mexico, and Europe* use.CDP Number: 217692 to book with Hertz. Wow! This is so great. You can actually drive your dream car without the hassle of spending large cash.